Estate Agents, have you been a bit naughty and forgotten that it was father's day? Well time is to make it up by giving him some of the best gadgets out on the internet. BBQ's and fathers go together like peas and carrots, and with the pending good weather, Estate Agents can make their dads feel like they're a true cowboy. The BBQ branding iron has 55 letters and spacers to make your burgers have a personal touch. Estate Agents can expect rude words, England football players, and "mine" to be branded onto many unsuspecting burgers. 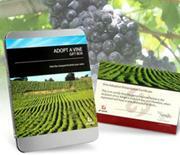 Estate Agents can now buy their dad an 'adopt a vine' kit – something for the more elegant father. The kit entitles your father to a dedicated vine, a vineyard tour, wine sampling sessions, discount at the wine shop and they can visit the vineyard at anytime for up to 12 months. The kit comes in a tin full to the brim with fascinating wine information to make any larger lout sound like a real wine buff. Golf and toilets, why hasn't someone thought of this before? The 'Toilet golf' is a bathmat that lets your dad play golf while on the toilet and is said its 'bound to entertain for hours'. It comes with a green bath math that goes around your toilet, a raised hole, 2 balls, a putter and a do not disturb sign for the door handle. Unfortunately this means that our very respectable dads will spend even longer on the toilet. 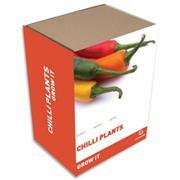 Described as a 'red-hot gift', the grow your own chilli kit will satisfy the taste buds of any chilli connoisseur. The kit comes with five different varieties of chillies including: Tabasco, Tepin, Hungarian Hot Wax, Japaleno and Anaheim chilli seeds. It also comes with instructions on how to grow the chillies, 5 starter pots and 5 compost disks that expand when you water them. James Coyne and Dean Webb at Resource Techniques seriously recommend any Estate Agent to grow their own chillies before the summer is over. Feeling generous? Why not give your dad the ultimate father's day present? The iPad is this year's must have touch screen gadget and has not only had a high profile with industry insiders but main stream media as well. 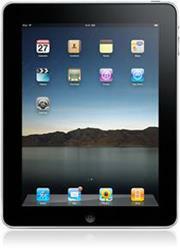 The iPad will give your dad the geek-chic look whilst being able to surf the internet (and apps) anywhere. Price: ranges from £429 to £699 and will certainly make up for forgetting to buy your dad a father's day present.